Directed by F. Gary Gray. 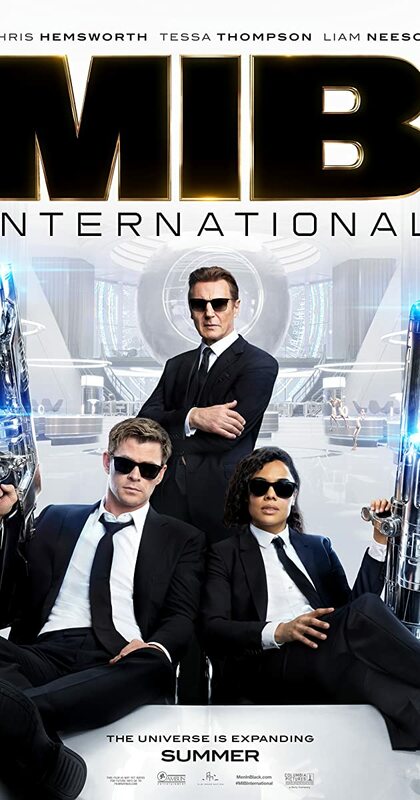 With Tessa Thompson, Chris Hemsworth, Rebecca Ferguson, Liam Neeson. The Men in Black have always protected the Earth from the scum of the universe. In this new adventure, they tackle their biggest threat to date: a mole in the Men in Black organization.